Alex Krieger discusses best (and worst) practices in waterfront restoration. Krieger is slated as the guest speaker for the upcoming Downtown Grand Rapids Inc. event at Kendall College Thursday night. Alex Krieger, known for his expertise and experience in the areas of urban planning and waterfront restoration and author of Remaking the Urban Waterfront, will be visiting Grand Rapids this Thursday for the Downtown Speaker Series “Growth Through Community” hosted by Downtown Grand Rapids Inc. The event is free and open to the public, with RSVP’s encouraged. In the talk, Krieger plans to identify seven or eight characterstics that are expected to be met by cities reorienting themselves to the waterfront. 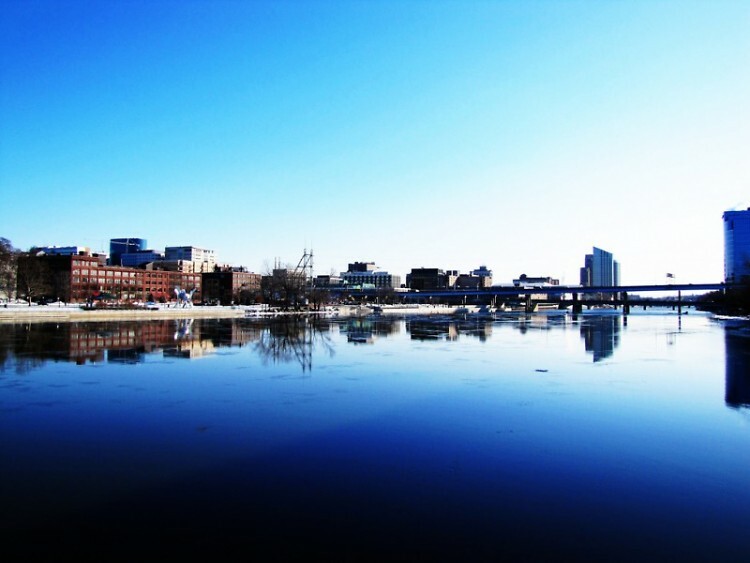 Krieger will use case studies from multiple cities that have revitalized their waterfronts, responding to that desire to come live or work near the water, such as Providence, Rhode Island- a city similar to Grand Rapids in size. Krieger says that along with large organizations and city government, the community can take charge, as art students in Providence did with RiverFire. Krieger will also present examples from cities as far away as China. Krieger says that though there are a wide variety of responses to waterfronts in urban areas, certain elements in planning are necessary for the plan to become successful. Location and public access, he says, are especially important in urban areas. But he says those aren’t the only factors to consider. “Continuity is [also] very important. In Boston, one can now take a bike ride for about 20 miles, more or less uninterrupted, starting along the river and working out towards our harbor. That took a long time to make sure that continuity existed. People use it for recreational purposes and for commuting purposes. It’s not about size actually, it’s about location of open spaces and the proximity of your downtown and the downtown neighborhoods,” he says. Krieger warns against grand plans that cities may ultimately find too expensive. Krieger will be presenting these and other examples of good urban waterfront development at Kendall College of Art and Design, 17 Pearl Street, this Thursday, August 1. Doors open at 5:30 p.m. Attendees are encouraged to RSVP on the Facebook event.